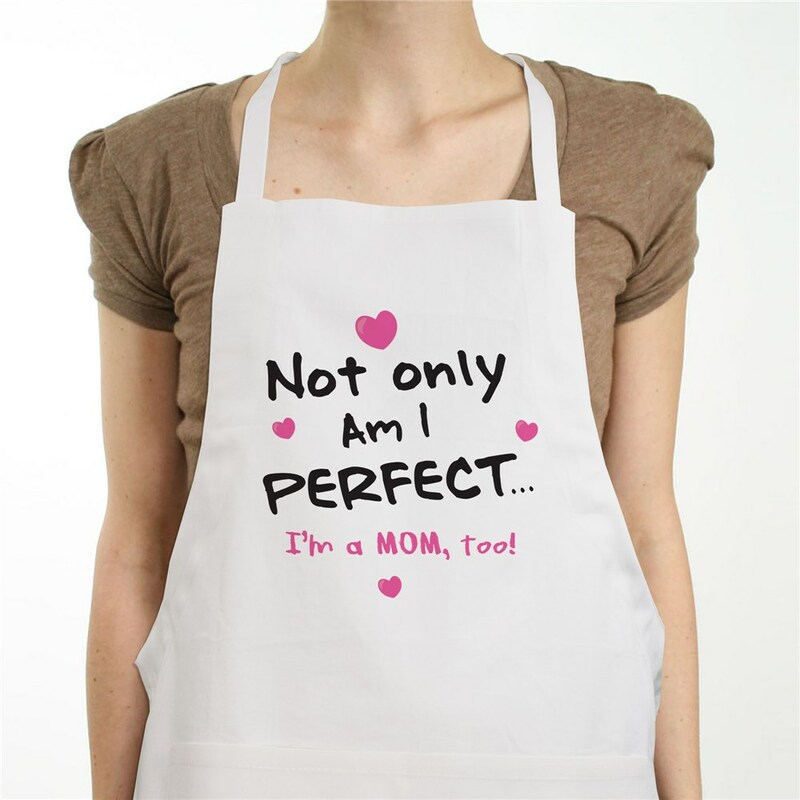 With "Not Only Am I" Personalized Aprons baking in the kitchen will be so much better. The Not Only Am I Personalized Chef Apron is a full length, 65/35 cotton/polyester twill fabric apron with matching fabric ties. Machine washable. This custom bib apron measures 20" Wide x 30" Tall and features multiple pockets for convenient storage along with an adjustable neck strap for a comfortable fit. Grandma's, Mom's or Nana's Personalized Apron comes personalized with any title. That's right, any title for your personalized gift to, Grandma, Mom, Nana, Aunt Rudy or any special title. Your personalized gift is always Personalized FREE! Good item for mother's day - bought it last year and may get it for my mother-inlaw this year.